As Albrecht La’Brooy, Melbourne improvisers Sean La’Brooy and Alex Albrecht modernise the classic jazz format. Absorbing Australia’s landscape as inspiration, Albrecht La’Brooy craft enlightened ambient-dance on the fly. The pair’s performances are not to be missed and never to be repeated. 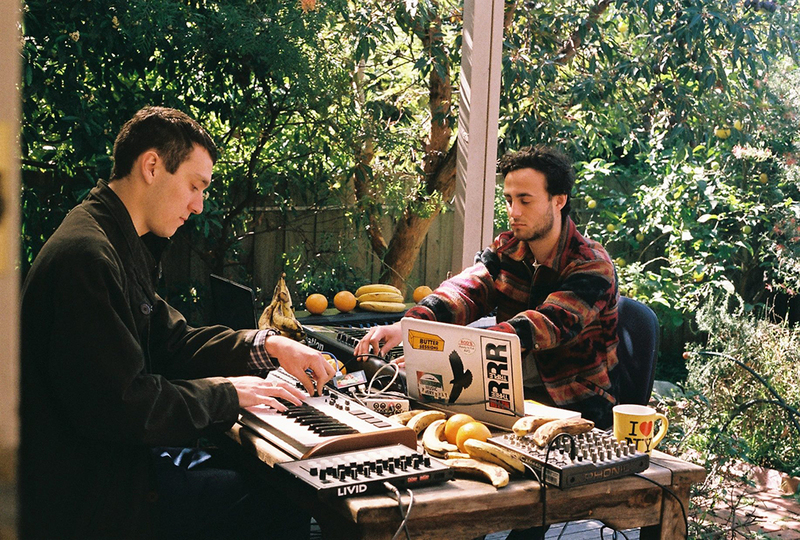 The two had a chance encounter after Alex, a budding Melbourne electronic producer, called Monash University in search of formal piano training from the faculty’s best teacher. The office fortuitously suggested a more cost effective option: Sean, a promising jazz student who had completed placements in Italy and at New York University. With each being engrossed in their respective counterpart’s creative disciplines, the next year of shared learning laid the foundations for this forward thinking combination. Their label Analogue Attic is a backyard cross-pollination of ECM and refined contemporary labels Mule and Dial. Analogue Attic showcases the gentle side of electronic music down under, and has so far released Albrecht’s maiden EP Good Morning Passengers plus a further two EPs for other Melbourne artists Tuc and Dan White aka Rings Around Saturn.